NOMADD Desert Solutions, a leading PV cleaning system and spin-out company from King Abdullah University of Science and Technology (KAUST), has secured strategic investment by Saudi Arabian construction company CEPCO. The Series B investment round will support NOMADD’s project pipeline and further strengthen the company’s growth ambitions. 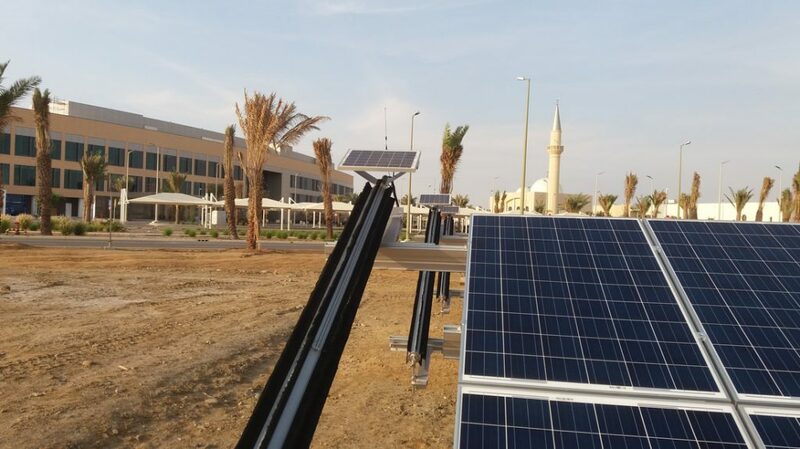 NOMADD’s patented robotic PV cleaning system is uniquely positioned to serve the increasing growth of PV installations in dusty desert environments, such as the MENA region. In desert climates, solar panels are often exposed to heat, humidity and outdoor elements such as sand and dust. These pollutants and weather conditions create a dust layer on the solar panel that prevents sunlight from reaching the solar cells. As a result, the panel produces up to 60 percent less power after a sandstorms. NOMADD technology addresses this challenge with a fully automated, robotic solution that is cost effective and requires no additional energy sources. In 2016, the KAUST Innovation Fund recognized the critical need for NOMADD’s technology and became the first early-stage investor into the startup. The Innovation Fund supports the university’s pipeline of startups and also invests into high-profile international technology companies willing to establish their operations in Saudi Arabia and benefit from KAUST’s research activities. It is one of the few investors in Saudi Arabia making seed to early stage venture capital investments into high-technology startups. The investment from CEPCO will enable NOMADD to scale-up its operations and serve its growing number of customers. CEPCO is specialized in the design and execution of projects in the power transmission and distribution sectors. “With CEPCO’s manufacturing and engineering expertise, we will be able to optimize and commercialize our patented robot technology, reducing costs and providing a superior, cost-effective cleaning solution to our customers,” said Jos van der Hyden, co-founder and CEO of NOMADD. The partnership with CEPCO will extend beyond funding, with the construction company advising on technology development and local manufacturing in Saudi Arabia. “The NOMADD team is testament to the possibilities Saudi Arabia has to offer and the abilities of its educational institutions and young engineers. Moreover, this is a big step for CEPCO into the world of sustainable energy and the support for Vision 2030. We are very excited about our cooperation with this Saudi-based company and its ability to innovate and develop an exceptional solar module robotic cleaning system ready for swift deployment,” said Dr Nour Al Husayni, CEO of CEPCO. This entry was posted in Entrepreneurship, News, Startups and tagged Innovation Fund, NOMADD, Series B. Bookmark the permalink.